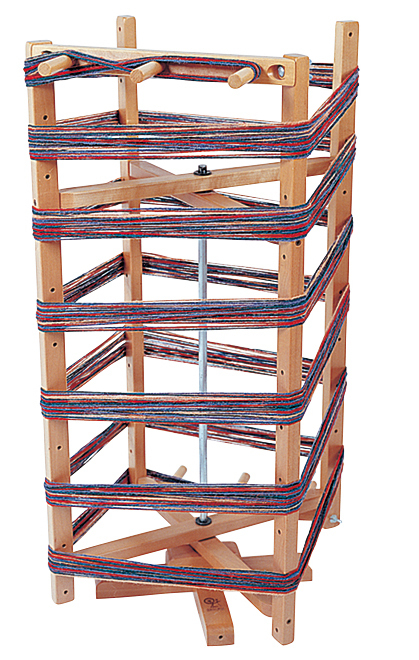 Makes warping up your loom quick and easy. The Ashford Warping Mill is for quick and easy warping with the strain taken by the strong uprights and not the pegs. 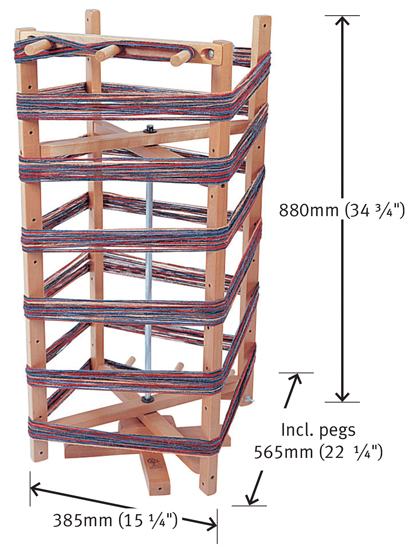 The bars holding the cross pegs are movable, so any length can be wound up to approximately 15m (50ft).